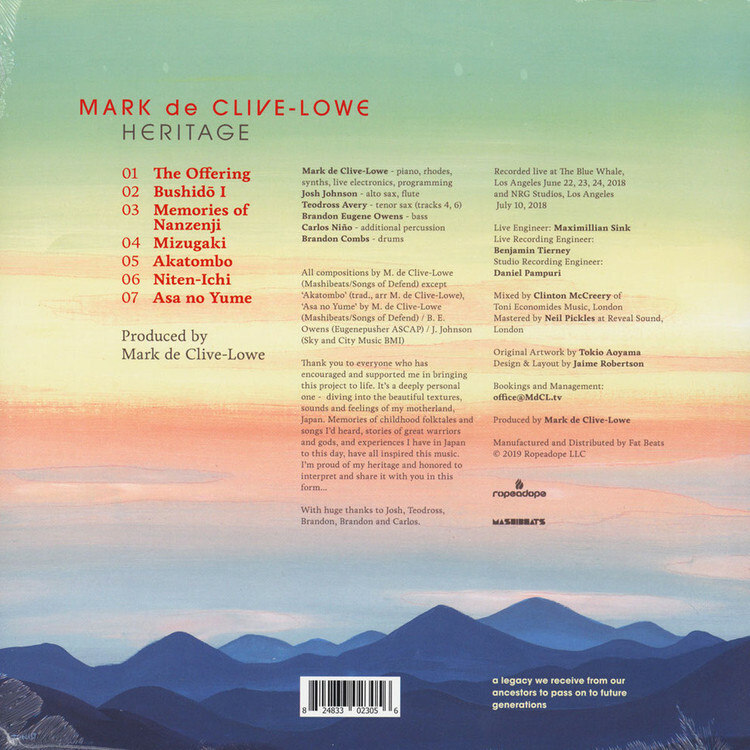 Mark de Clive-Lowe's legacy reaches right back to the early 90s, when he was involved in a variety of groups in his native New Zealand. Having covered a lot of ground since then, including working with Theo Parrish, he's now dropping this stunning live session recorded in his current home of Los Angeles with a band that includes Ammoncontact's Carlos Nino on percussion. From tender lulls to stormy peaks, this is a broad tapestry of contemporary jazz rooted in the thrill and energy of performance. Mark de Clive-Lowe is rightly considered a master in his field, and this is the perfect example of his craft.